You can listen to the opening song from Neema’s new album here. It is called For You and features the beautiful Emmylou Harris. 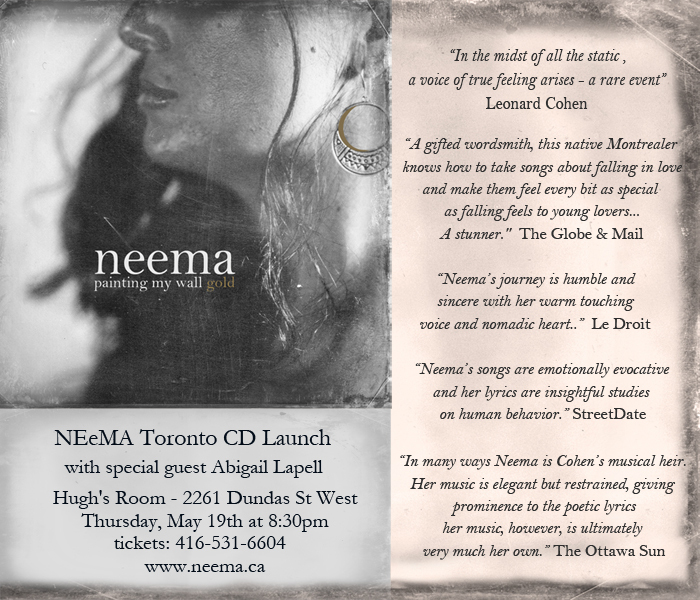 If you are in or near Toronto, Neema will be doing her CD launch next Thursday, May 19th at Hugh’s Room.